If you want make the mailing list emails available on the website you can setup a frontend email archive. Frontend email archives are only available in WP Mailster Society & Enterprise. Below you find an overview of which shortcode does what. For details and the available options refer to our shortcode documentation. This shortcode displays all mailing lists while adhering to the lists’ access settings. 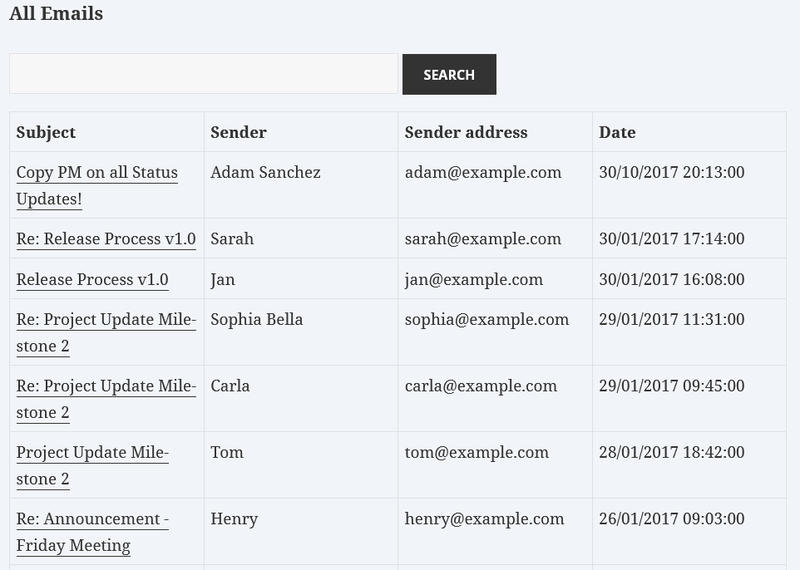 From this overview, the user can view each list’s emails. Furthermore the subscription settings can be changed. This shortcode displays all past emails in a chronological way. Note that you can choose to only display the emails of a certain mailing lists with the shortcode parameters.